I once met a woman called Cindy who earned her living by pole dancing in a nightclub. Wanting to understand more about Cindy’s background and the performance art, I searched YouTube and found videos of champion pole dancers. As I watched, I was struck by a disconnect. In our culture, these women are often stereotyped as sleazy or seductive. I see them instead as artistic and graceful, consummate athletes. Cindy was 6 when her mother died. She became close to her father but he, being the main provider, worked long hours and hired a young woman to look after the her and her brother. Cindy witnessed this woman brutally beating her little brother and feared she’d remain haunted by the pain of his death, forever. My heart went out to Cindy. Her childhood losses were traumatic. But she found solace in two important ways. In a family friend she found a supportive and loyal mentor. Her mentor encouraged Cindy to study, and she became a beautiful and graceful dancer. She and the other pole dancers worked at a club together and shared their interior lives. Over time, Cindy found comfort in the bonds of sisterhood and healed her grief, though she would never lose the memories of her childhood wounds. Jim, the man Cindy fell in love with, remained haunted. At too early an age, he had felt helpless and guilt-ridden after he was unable to save his childhood sweetheart from a tragic accident. Additionally, his emotionally distant father had abandoned the family, and Jim became a caregiver, a “parent” to his mother. Individuals respond to trauma in various, deep, and far-reaching ways. Have you ever wondered how some people are able to survive wounds and overcome their grief to become hopeful and productive, while others feel hopeless, stuck, or depressed? We don’t always know how early traumatic experiences will be processed or how deeply these experiences will affect our lives. We can only reflect upon what it is in a person’s make-up or background that enables one to survive and thrive, while another still struggles. When we look at people’s early lives, we can see the different circumstances that played a part in developing the way they respond to traumatic events. Trauma expert Bessel van der Kolk notes that people who live in deeply caring and accepting environments handle potentially traumatic events much better than those living in harsher environments. One day, I came across a tiny snapshot of a man I’d been given as a prompt in a writing workshop. The soulful and searching look in his eyes reminded me of Jim. I decided to write a story, inspired by events in Cindy’s and Jim’s lives. I decided to call the main character “Ned.” When Ned found his way onto the blank page in front of me and became the narrator, I was surprised and uncertain. Could I write a story in the first person, as a man? Be that guy? As it turned out, Ned became my muse. Dancer Misty joined him a few pages later, and my admiration for the characters began to grow. As the tale unfolds, we see Misty healed. She is fortunate. She experienced loving support from her parents and a wise family friend. Ned is not as fortunate. He must learn from Misty. Misty and Ned, and their real-life models, Cindy and Jim, are examples of Van der Kolk’s wisdom. They are characters of different temperament and background who deal with trauma in different ways. As my fictional version closes, we can only hope Ned will follow in Misty’s footsteps, to heal and grow. Dr. Kixx Goldman, psychologist and author, migrated to Phoenix from Vancouver to retire her hip waders and pursue her passion for prose. Her research on relationships has been published. Kixx’s collection of short fiction is inspired by experiences in her life and the lives of her clients. Kixx loves helping people follow their intuition and claim their power. Speak from Your Heart and Be Heard: Stories of Courage and Healing, will be released in spring 2019. The short story, “Deception,” was recently published in the anthology, Heat of the Moment. Follow Kixx on Facebook and learn more about her at DrKixxGoldman.com. It’s Women’s History Month, when we take time to honor all the women who have contributed great things to our country: medicine, technology, education, political movements, and more. Often this honor embraces an entire group of women: suffragettes, activists, members of the armed forces, first responders. Among these groups a few examples are singled out and portrayed as inspiration for all of us. Those women deserve the honor. But here is what I wonder: how many great women who contributed amazing things in the past do we even know about? I am always amazed when one example after another crops up to inform us of yet another mathematical achievement, medical breakthrough, artistic endeavor or any great accomplishment that had previously been attributed to men. Only now we are discovering that it was a woman who did this, did that, and did the other amazing thing. And a man took the credit. I wanted to write about this so I went to Google and typed in “Achievements Credited to Men but Women Did It.” Ten pages of articles came up. So I’m not going to write about it. You can Google it yourself. Instead, I will say this: look around you. Accomplished, intelligent, motivated, adventurous women who contribute every day to their families, friends, and businesses surround you. They contribute to their communities. They run for office. They volunteer, bestow compassion, support their friends, and watch out for others. They leave indelible impacts everywhere–good impacts that will resonate far into the future. Let’s be sure to appreciate this. Let’s be sure to make Women’s History Month in the decades to come a celebration of the time when the world’s consciousness arose to an awareness in the present of the contributions women make. When we’ll realize it’s not a month designated to appreciate a few stand-out women that were finally uncovered, but the woman standing right next to you. Honor that woman. Every day. Start now. 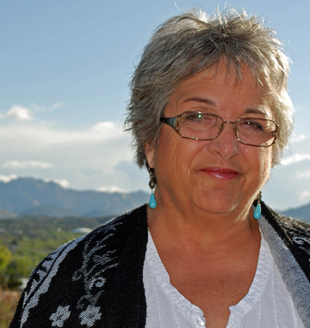 Patricia Grady Cox is a member of Western Writers of America and Women Writing the West. 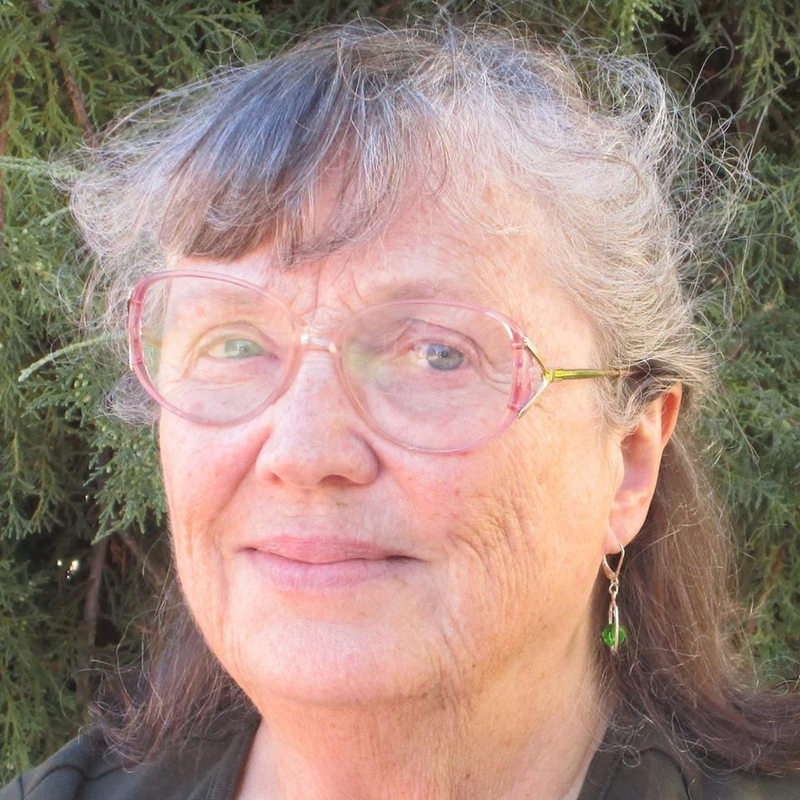 Her nonfiction work has appeared in magazines, newspapers, and ghost-written memoirs. Patricia has volunteered at the Pioneer Arizona Living History Museum where she experienced, first-hand, the realities of life in the 1800s. Her love of the Southwest – the landscape, the history, the culture – infuses her work with authenticity. Originally from Rhode Island, she moved to Arizona 24 years ago and currently lives in Phoenix. Her novel, Chasm Creek, is available on Amazon or through her website. 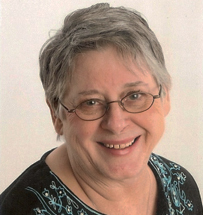 Patricia blogs weekly at Patricia Grady Cox, Writer. Her second novel, HELLGATE, is now on sale. Writers are often directed in how-to books, classes, and webinars to write about a familiar subject, something about which they can speak with authority. Even better, the writing coaches suggest, is to have some pedigree or title that makes you a recognized expert and gives you some gravitas. This school of thought is widely accepted by readers, but I prefer the opposite approach. Most of my blogs and ALL of my children’s picture books are about topics previously unknown to me. When I wrote the blog The Story of the Edmond Fitzgerald, I had no clue about this piece of history, other than the song by Gordon Lightfoot. Fortunately, research these days is a cinch. No trips to the library required, everything is at my fingertips on the internet. This is a good-news/bad-news conundrum; although it’s easy, fast and fun, it also leads to the inevitable rabbit-hole of unrelated interesting stuff that pops up and distracts me. Notwithstanding the time-stealing detours, I dive into weird science, strange history, and bizarre looking animals. My articles on the Blue-Footed Booby, Pangolin, Two-Toed Sloth, Tardigrade, and Axolotl, all available for perusal on my personal page of this blog (Rita Goldner), were themes about which I knew little, and in some cases had no clue whatsoever. Hopefully my fans like posts from an unschooled learner who can share a fresh perspective, as well as wide-eyed wonder. You shouldn’t present yourself as an expert, but as someone discovering something new, along with your reader. Don’t ever admit you looked at Wikipedia as part of your research, or quote it as a reference. It’s not a respected source in the literary community. I’ll admit I’ve used Wikipedia as a springboard, giving me ideas or different facets of the topic, which I then research via other, more reputable sites. I write children’s picture books, so the “wide-eyed wonder” shtick is a good fit. But some of my favorite books for adults also have parts that the author couldn’t possibly have known. I’m a fan of James A. Michener, and in his novel Chesapeake, he had several chapters about a soft-shelled crab at the bottom of the bay. In Centennial, he went back in Colorado history to the age of dinosaurs. Space contains heaps of information about the space program. Knowing Michener did loads of research makes me an even bigger fan. My books so far have been about world travel, the airplane, an orangutan, the water cycle, and a rhinoceros. In every case I had a little interest, but almost no knowledge. Ideas pop into my head on a regular basis, but they are in the form of questions and curiosity. I started this writing/illustrating business more for fun than for profit, and that agenda has been attained. Over the past 15 years, I have been pondering how and why we form our thoughts. I realized that many of us may never have considered how these beliefs could be working for, or against, our highest good. I watch how so many people, seemingly without thought, pass judgment while looking outside of themselves. They seem so easily to point a finger at others’ behaviors without realizing that their own judgments and beliefs are hurting themselves. For some, this concept of self-pain may be difficult to swallow, but as we learn more about ourselves, we discover that these negative beliefs can only be seen as hurting the core of who we are. It is time to realize that our inner thoughts and beliefs can be changed for the better. We can shift our perspective on these matters, and in the process help not only ourselves, but all of humanity. For years I have been researching people like Gregg Braden, Dr. Wayne Dyer, and Louise Hay. Louise was a well-known author and motivational speaker for more than 40 years. She passed away after reaching 90+ years and wrote many books, most notably, You Can Heal Your Life. She has healed millions of people by teaching them to change their thoughts and beliefs. She even went as far as creating a list of all ailments in the body and connecting them with the way we think. Once we change a certain thought, we can heal the coordinating part of the body. Let’s take a step back and look at the bigger concept of belief in general. Beliefs have been brought forth from many understandings, over many lifetimes. Some of our beliefs have been brought through in our subconscious mind over the many centuries and lifetimes we have lived in various time periods that preceded our current life. Beliefs also originate from different cultures, religions, traditions, and values handed down from our parents. As we grow, these teachings begin to take shape in our minds. Slowly, over time, these ideas become our core beliefs. As we live and grow, our thoughts gradually become influenced through reading and listening to ideas from all manner of sources. Think of all the different ways we are influenced by information. There are many sources of data, such as scientists’ findings, books, teachers and schools, quotes and statements from famous people, film, the media, etc. All of these ideas form the collection of data, existing in our minds, which we have come to think of as proof. But is it really proof? For example, a couple years ago I was wearing a t-shirt that had my name on it, along with a symbol of a dragon. Many positive meanings are associated with the dragon. If you do your due diligence, research will reveal that the dragon symbol represents the embodiment of primordial power – the ultimate ruler of all the elements. This is because the dragon is believed to be the master of all the elements: Fire, Water, Earth, and Wind. This is a symbol of balance, symbolic of equality. This is where my heart lies, in the knowing of positive thinking. So I wore this shirt as I walked into the deli area of a grocery store. As I was about to sit down at a table there, a woman pointed at my shirt and told her husband (loudly enough for me to hear), “He is in a cult.” The woman’s husband started to look at me rather fearfully. It was difficult for me to fathom why they would think this way. Was it because of the religious beliefs they have embodied over time, or perhaps personal experience with a cult? Or was it simply a judgment? Needless to say, the woman had no idea what the true meaning of a dragon was. When I looked at myself in that moment, I realized I was not standing up for myself. I wasn’t speaking for myself, explaining the truth about the dragon symbol to this couple. Perhaps I should have been able to confidently teach them, with no concern for their reaction. But my thoughts at that moment were, Don’t they know any better? Why aren’t they willing to grow and learn because of such a rude comment, to put it nicely. I found myself forming my own judgment and attitude about them instead of educating them. So where does my belief come from? I had to take the time to think about that. You can see how this method of passing judgment works both ways, as we create our reality with both our thoughts and our beliefs. Jonathan Leicester, author of the book, What Beliefs are Made From, suggests that belief has the purpose of guiding action, rather than indicating truth. This statement resonated with me. Many religious leaders, since the dawn of religion, have been changing the perspective of what God is, while creating fear, thereby seemingly controlling us by creating the belief that God will punish humans if we don’t obey. Many will agree with me that this idea is the furthest from the truth. We have never been separated from God. His energy is in all living things at a higher frequency of love that we can’t see with the naked eye but can be felt. Love at this higher frequency does not punish or turn to hatefulness if we don’t obey. People can learn to discern and feel the truth within themselves. You can feel it in your heart. The God I have learned to know is all Creator, all loving in all things. Change your perspective toward the idea of a loving Creator, and feel the shift within. This shift will feel subtle, but you will feel a level of peace, comfort, and an enormous amount of love. It won’t be immediate, but takes time, commitment, and focus. Pray your intention internally in the form of meditation, while asking God to shift your energy. More honest levels for proof of true belief comes through your own personal experiences. You may feel a sense of knowing at a soul level, using your fiver primary senses (hearing, vision, touch, smell, and taste). In nature, this derivative feeling is known as a gut feeling. If you delve deeper into that feeling, this strong knowing usually overcomes your existence. This knowing comes from the higher metaphysical energies which exist around and in your very essence.